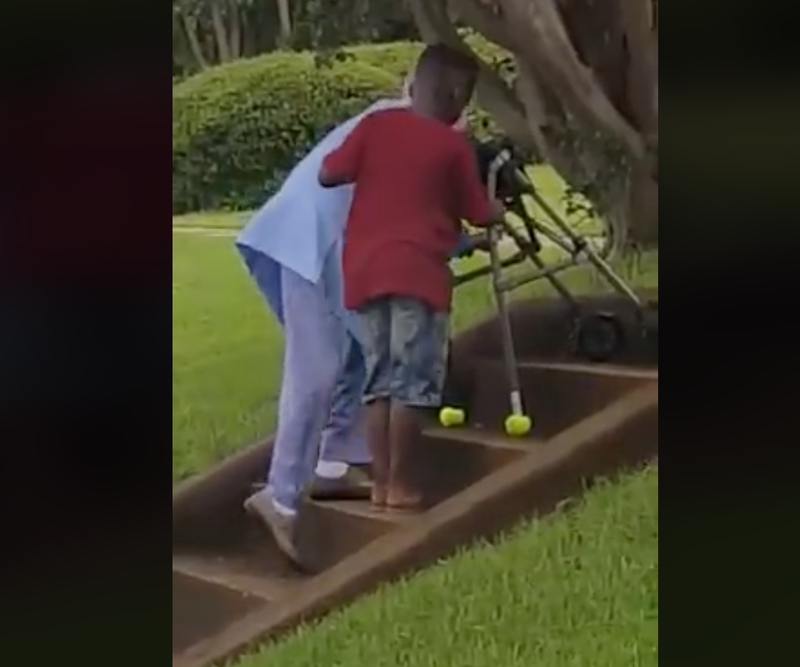 It looks simple, but this eight-year-old boy proved that kindness within young people still exists when he assisted an elderly lady up a flight of stairs. Maurice Adams Jr was traveling in a car when he noticed an elderly lady trying to get up a flight of stairs with a walker. He asked the driver to stop the vehicle, and he was caught by an onlooker on camera assisting the lady. He has been heralded as a hero in his community of Milledgeville, Georgia, USA. In the video, Adams can be seen gently guiding her up the stairs and in the end, the unidentified lady proceeded to thank him with a hug. At the time he did not know he was being recorded and the video has since been eaten up by social media, with many attributing what he did to great parenting, and we could not agree more. Every day we should all aim to do one random act of kindness and just spread love and compassion. Let this guy inspire you today.